If the serial killers don’t get you, the squatters and security guards will likely give you a hard time. This is why you can’t just explore abandoned buildings whilst donning headphones. Luckily, there’s a way to safely transport and guide your mind through infinite catacombs, subway tunnels, condemned warehouses, and more! 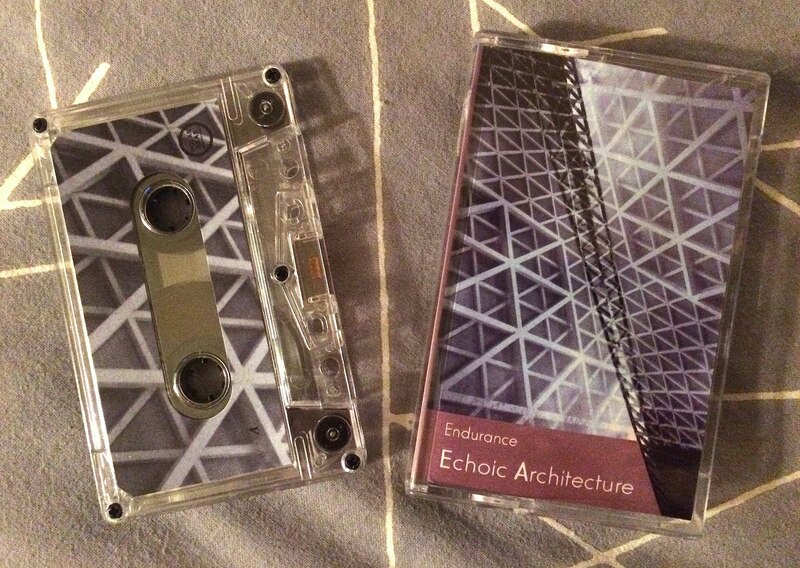 Try “Echoic Architecture” by the good folk over at Endurance! Per Bandcamp, Endurance has churned out over a dozen releases in the last two years, and my guess is that this is what it sounds like when a Canadian-living-in-Japan’s hobbies are centered mostly around making professional-quality field recordings of subtle city sound textures and sculpting high-frequency overtones and organ drones. The sound is pure, dissociative desolation. A blooming relationship with crumbling walls, damp pipes, and neglected electrical equipment develops as a coping mechanism. Yes, this tour is a lonely one, but only if allowed, so you keep your footsteps for company, and as the hour-long soundtrack comes to a close, as you reach the final landing and fling open that half-rusted out door to realize a barren rooftop, with its collapsing garden of chimneys & satellite dishes, the realization of how expertly scaffolded this waking dreamscape truly was beams down on you like a perfectly timed sun poking through the clouds. Happy exploring.